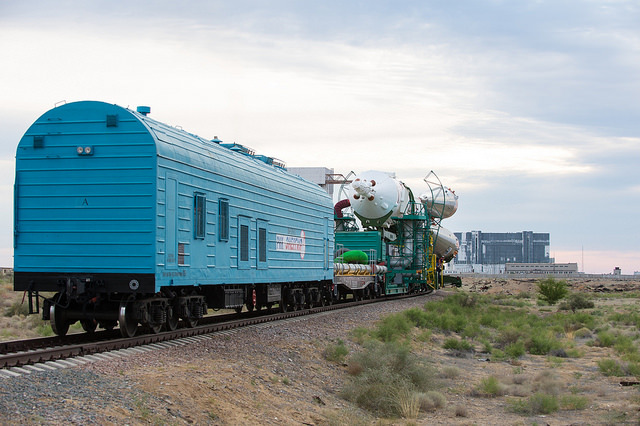 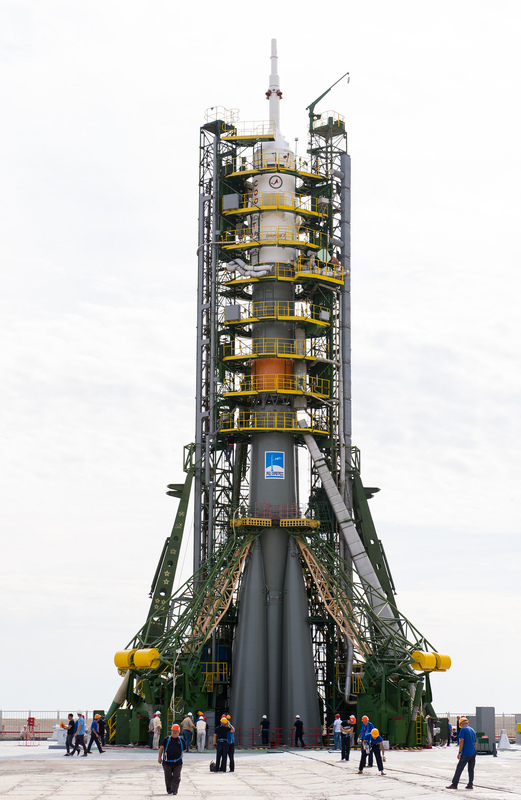 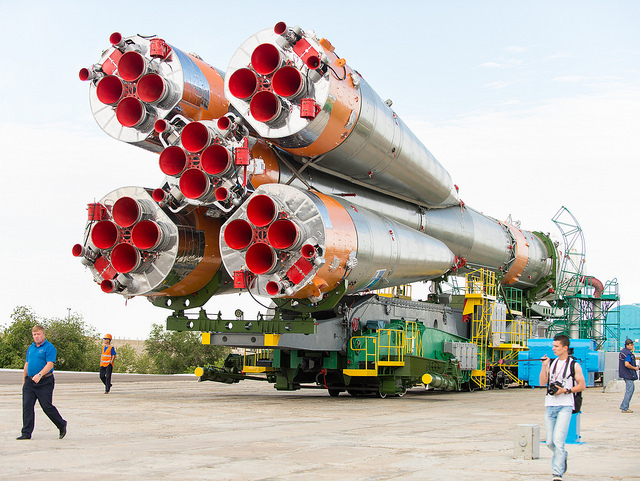 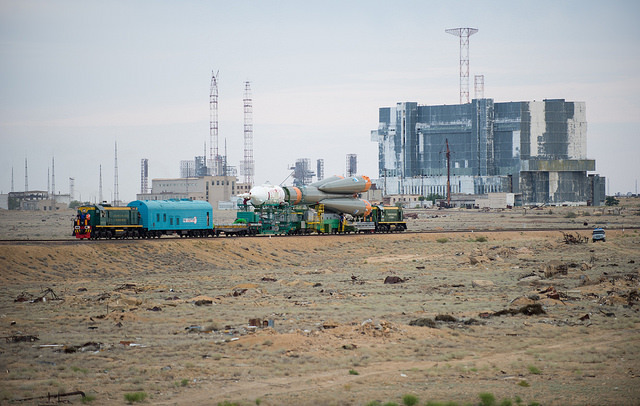 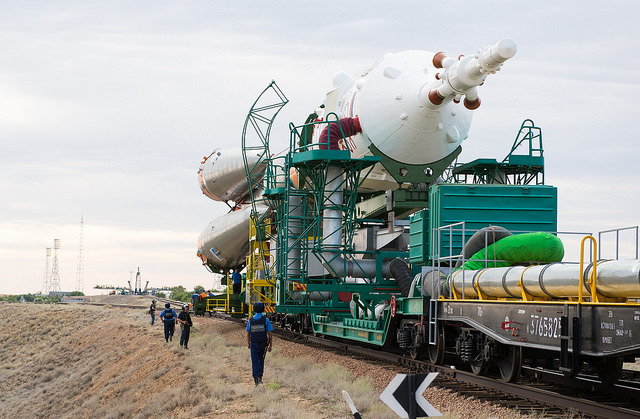 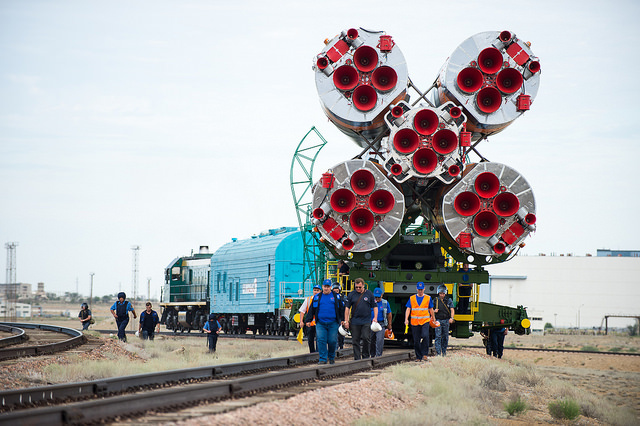 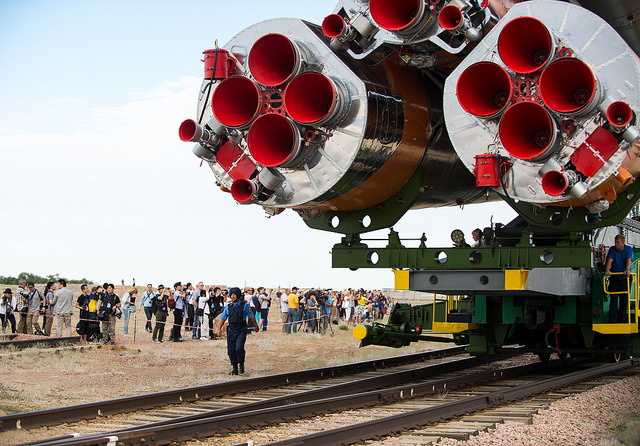 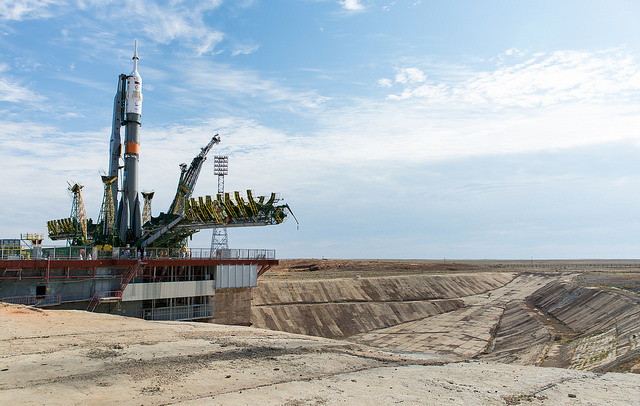 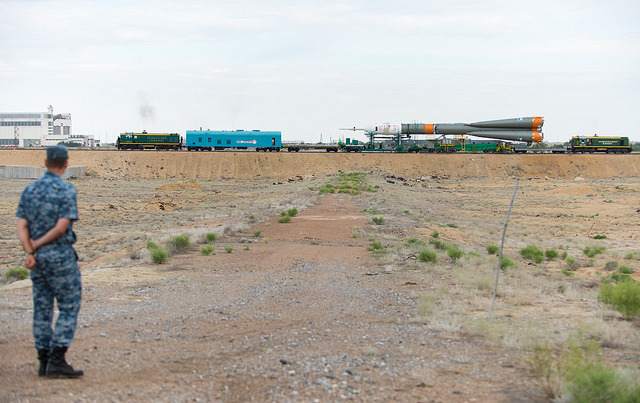 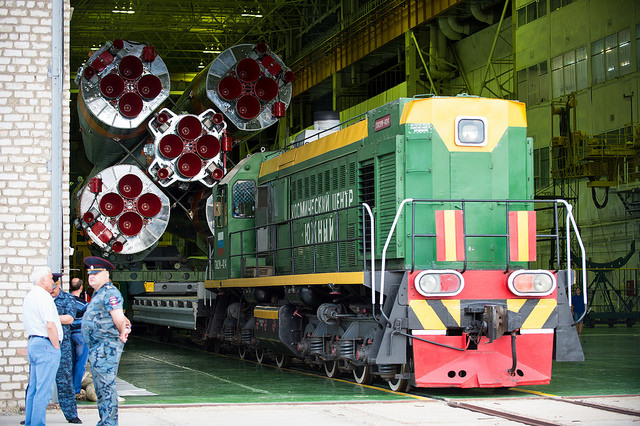 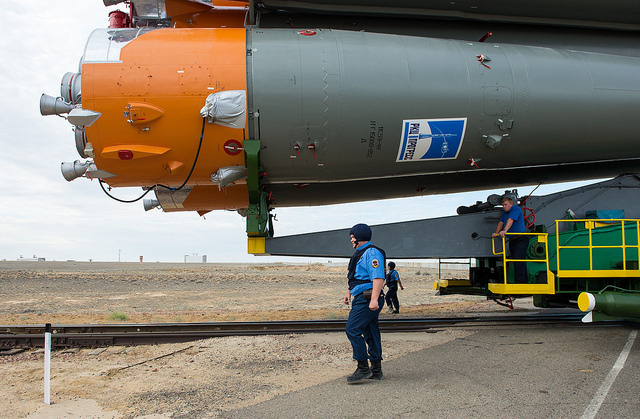 The rocket emerged from its hangar just after sunrise Monday, traversed across the Kazakh steppe towed behind a train locomotive, then arrived at the historic Launch Pad No. 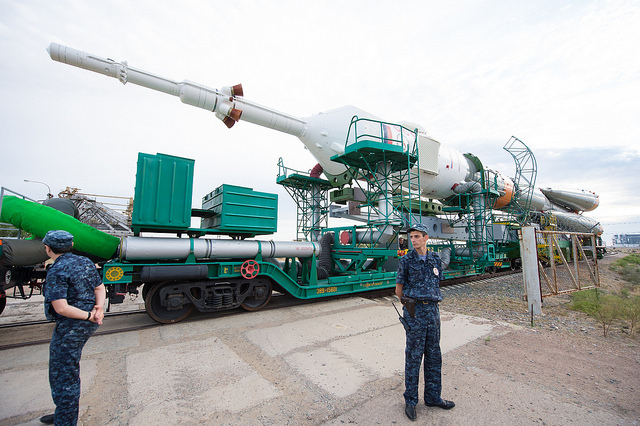 1 at Baikonur, the same facility used by Yuri Gagarin on the first human space mission in 1961. 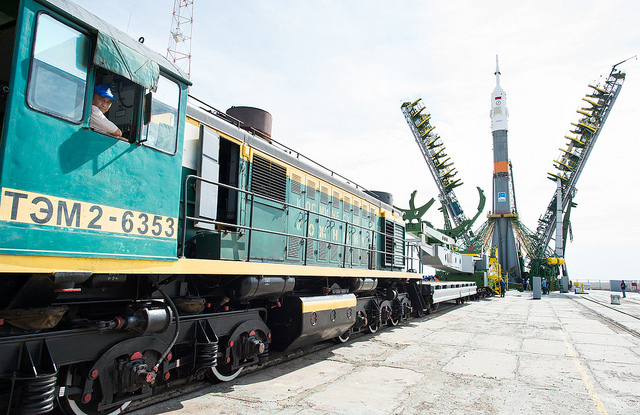 Veteran Russian cosmonaut Oleg Kononenko is set to command the Soyuz TMA-17M spacecraft during Wednesday’s six-hour trip to the space station, which is set to begin with a fiery liftoff from the Baikonur Cosmodrome at 2102 GMT (5:02 p.m. EDT), or 3:02 a.m. local time in Kazakhstan. 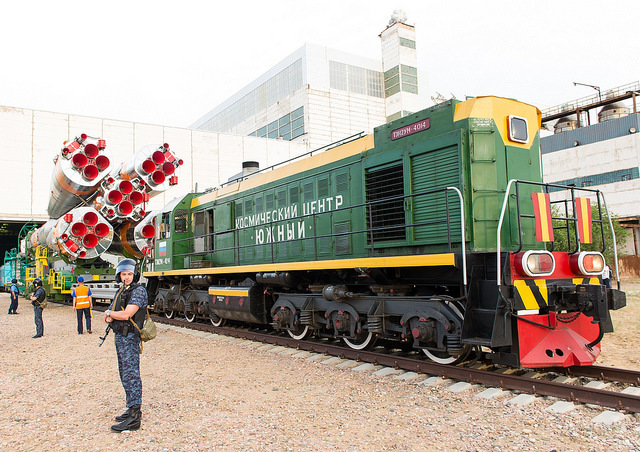 Making his third trip into space, Kononenko will occupy the center seat of the capsule for launch. 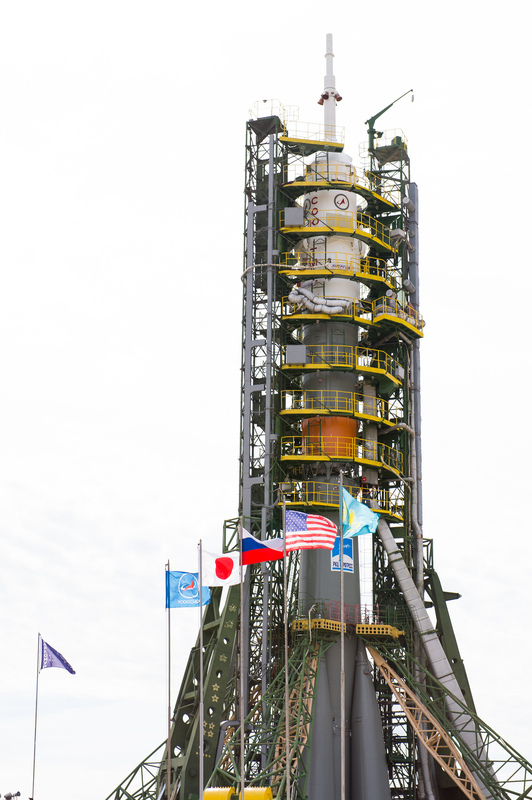 Rookie Japanese astronaut Kimiya Yui, a former F-15 test pilot, will be board engineer in the left seat of the Soyuz spacecraft, and NASA astronaut Kjell Lindgren, also on his first spaceflight, will sit in the right seat. 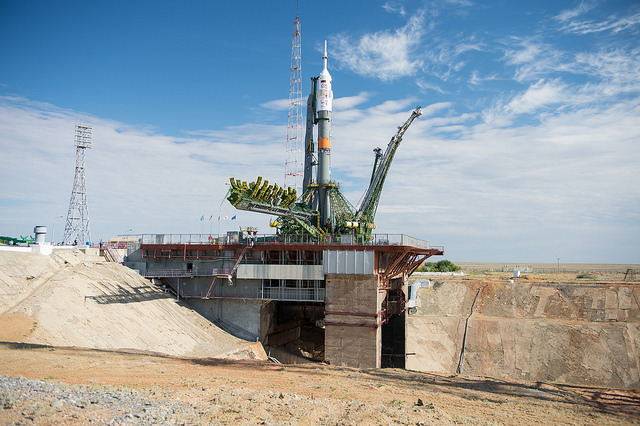 After an expedited, four-orbit rendezvous, the radar-guided Soyuz spacecraft will dock with the International Space Station at 0246 GMT (10:46 p.m. EDT), joining three residents already living on the outpost more than 250 miles above Earth. 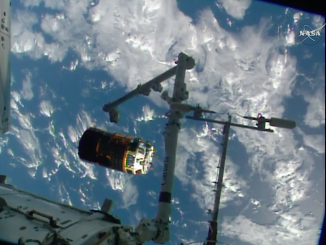 The trio is due to remain in space until Dec. 22. 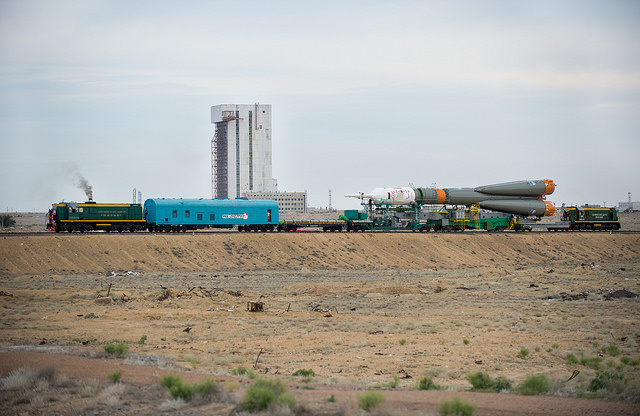 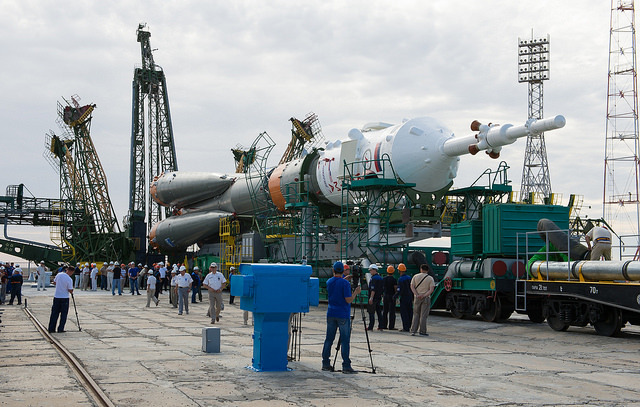 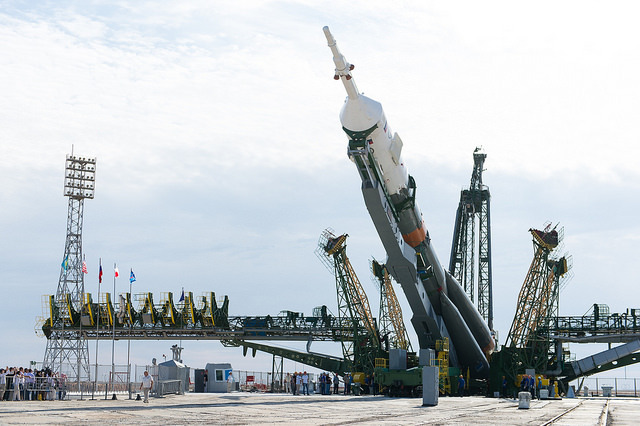 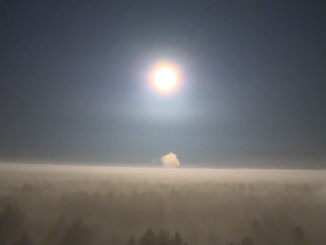 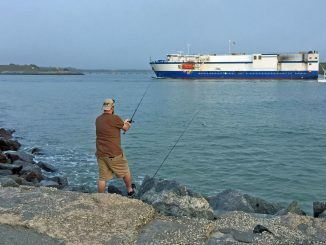 Wednesday’s launch was supposed to go up May 26, but Russian officials delayed the flight in the wake of a Progress resupply mission failure in late April.